A tremendous energetic and an outstanding charismatic personality with amiable disposition Mr. Kazi Akram Uddin Ahmed is the founder Chairman of Standard Bank Limited. He is a man with distinctive vision, dynamism, commitment and innovative ideas. He comes of a very prominent and highly respectable family of Bangladesh. Mr. Akram Uddin Ahmed did his M. Sc. in physics form Dhaka University in 1963 and thereafter received several local and foreign professional Diplomas and training. He did Diploma in Personnel Management from UK in 1974, Industrial Management training from Switzerland in 1980. After academic education he first started his career as a lecturer in Jagannath College, Dhaka and after a short spell of teaching profession, he switched over to Administrative career in the Industrial Sector, in Mohammodi Steel as Manager in 1964. He left his service life in 1981 while he was General Manager of Bangladesh Steel and Engineering Corporation for embarking upon as an entrepreneur in the field of Industrial Manufacturing, Banking and other business. As a Chairman of Standard Bank Limited he has brought along with him a vast wealth of experience and expertise of managing a number of Industries of his own and of Bangladesh Steel and Engineering Corporation, prominent business houses and enterprises of diversified nature. Today he is a very successful entrepreneur and an eminent industrialist of the country. He is the Managing Director of Eastern Engineering Works Ltd., Bright Steel Wire Rope Mfg. Co. Ltd., Chittagong, Bright Trader (Overseas), Chittagong and Standard IT Services Ltd. He is one of the Former Directors of Padma Oil Co. Ltd., the largest subsidiary enterprise of Bangladesh Petroleum Corporation. He is a widely traveled man and visited many countries viz. USA, UK, French, Germany and many other Asian and African countries. He is a valiant Freedom Fighter in our glorious War of Liberation who actively participated in the liberation war in 1971 and has made many significant contributions. During his course of journey to training camp in India, he lost his beloved son who died on the way. 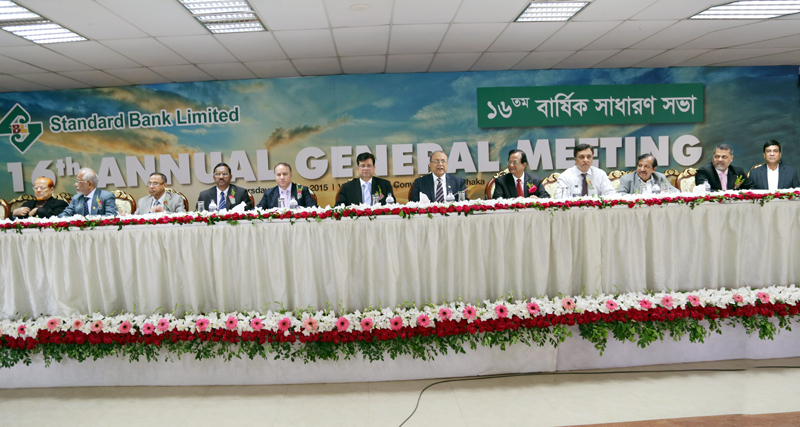 He is the Former Chairman of Bangladesh Association of Banks (BAB) and during his tenure he has made immense contribution in turning this organization into a very lively and vital forum of the Chairman and Directors of Private Commercial Banks in Bangladesh. Mr. Kamal Mostafa Chowdhury, a distinguished business personality comes of a aristocrats and respectable muslim family of Kazim Chowdhury Bari at Gunagari, Banshkhali in Chittagong district. He was born on the 21st May in 1956. Revered by all his business acumen, Mr. Chowdhury, a dynamic and visionary leader of banking and other business arena. He has taken part in establishing a good number of business entities including bank. He is the Founder Vice-Chairman, former chairman of Executive Committee & Director of Standard Bank Ltd., Managing Director of Raja Securities Ltd.,Proprietor of Raja Corporation and KMC International, Director of Holy Crescent Hospital in Chittagong. He is a highly experienced professional with successful track record in international trading. When Mr. Chowdhury was studied in Chittagong University, he started his business career through import export and shipping business. Mr. Chowdhury is well-known in various social and philanthropic activities in addition to his business arena. He is the founder of Ahamadia Sunni Madrasha and ex-member of Kokdandi Gunagari High School committee at Banshkhali Chittagong, Member of Chittagong Club Limited, Chittagong Seniors Club Limited, Chittagong Boat Club Limited, Mainamati Golf and Country Club, Comilla, Army Golf Club Dhaka and Life Member of Chittagong Press Club, Rifle Club , Chittagong Diabetic Hospital, Chattagram Maa-O- Shishu Hospital, Lion Blood Bank, Vice chairman of advisory committee for Chittagong Samity in Dhaka. President of Banshkhali Samity in Dhaka. Mr. Chowdhury, a prominent businessman and vibrant business leader is associated with a number of trade bodies and associations devoted to business development of the country. He is the Director of Chittagong Chamber of Commerce and Industries. 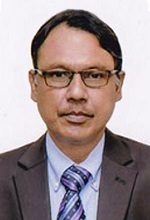 Director of Bangladesh Malaysia Chamber of Commerce & Industry, Member of International Business Forum of Bangladesh (IBFB) and former member of Federation of Bangladesh Chambers of Commerce & Industry (FBCCI). Mr. Chowdhury is a widely traveled person across the globe. As a business representative, he extensively visited many countries including India, Malaysia, Saudi Arabia, United States of America(USA), United Kingdom(UK), China, Thailand, Bhutan, Japan and Taiwan. By virtue of religious devotion, he has performed his Hajj for three times. Mr. Ashok Kumar Saha a high professional and prominent Industrialist, was born in a renowned family at Gharforhadbegh, Chittagong. He completed his post graduation in Chemistry from University of Chittagong, B.Sc. Engineering (Electrical) from Ohio University, Ohio, USA and Master of Business Administration from University of New Haven, Connecticut, USA. He become as a Director of Standard Bank Limited on 12.10.2009 in place of his father Late Nani Gopal Saha who was a Sponsor Director of the Bank and well known Industrialist of the country as well as CIP (Commercially Important Person) by the Government & was highest Tax payer of Chittagong region twice. Mr. Ashok Kumar Saha is widely known in the business circle in Chittagong who is a Chairman of A. K. Saha Steel Industries (Pvt.) Limited, Director of NG Saha Steel Industries (Pvt.) Limited & NGS Cement Industries Limited and Managing Director of NGS Industries Limited & Uttam Oil Limited. He obtained lot experience regarding Marketing Survey Reports of various companies in USA during MBA Degree and making some logical Digital projects for Electrical and Computer Engineering in Ohio, USA. He is well connected with various social and religious activities specially served as Host Leader of Bangladesh Special Olympic Team, New Heaven. Connecticut, USA and contributed for Sports of Bangladesh Olympic Association, Dhaka on 2009. Mr. Ferozur Rahman, an eminent business personality comes of a landed gentry and reputable muslim family was born in 1946. Mr. Rahman, is a dynamic and visionary leader of banking and other business arena. He is cheerful, good-humored and exuberant character. He grew up in a pious Muslim family and established himself as a star, flamboyant hotel business man in Bangladesh. He has a wide range of experience in several businesses. 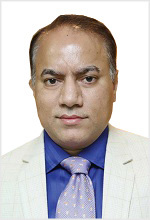 He is the sponsor shareholder of Sonali Insurance Company Limited, Director of Hotel Golden Dragon Limited, Hotel Eram International Limited and Hotel Peacock Limited were established under his flagship and dynamic directorship. He is also the proprietor of Olio Enterprise and Hotel Oli Dream Heaven. » Past District Governor, District 315 B2 as well as PMJF Lion. » Chairman of Sultanpur Union Parishad, Brahmanbaria for about 23 years. » Founder Chairman of Ferozur Rahman Fund and Foundation. » Founder and Chairman of Ferozur Rahman Residential Academy School and College. Mr. Md. 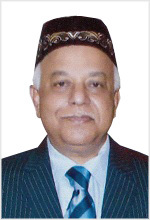 Manzurul Alam is a renowned Industrialist having over 35 years of business experience. He is the Chairman of H. M. Steel & Ind. Limited.,Alhaj Mostafa Hakim Bricks Limited & Managing Director of Golden Ispat Ltd,Golden LPG ltd.,Taher & Co. Limited, Golden Brick Works Limited, Golden Steel Alloy Works Limited, Al-Haj Mostafa Hakim Housing & Real Estate Limited, Golden Oxygen Limited, Al-Haj Mostafa Hakim Cement Ind. Limited and Golden Iron Works Limited, Eagle Star Textile Mills limited, Mutual Jute Spinners Ltd.. He is also Proprietor of M/s. Monzur Alam. Besides, he is a General Member of Chittagong Chamber of Commerce & Industry. He is also associated with many social and educational institutions and is founder of Mostafa Hakim Collage and Alhaj Mostafa Hakim Welfare foundation. He was elected as Ward Commissioner and was hold the position as Mayor of Chittagong City Corporation about last 22 years. He is actively associated with several distinguished educational and socio-cultural organizations. He is the life Member of Army Golf Club, Dhaka and Permanent Member of Chittagong Club Limited. He is also the Associate Member of Chittagong Chamber Of Commerce & Industry. He is a philanthropist and does a lot of charity to variety of organizations. He is the founder of Aslam Sriti foundation at Noapara Chittagong. He is working in the field of education and holds very key post in many institutions. 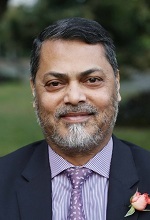 He is the founder member of Noapara Muslim High School and Executive member of Noapara University College. He has been working for the upliftment of the downtrodden at his village Noapara Chittagong. With his brilliance and prudence, he has been contributing in SBL to reach its vision through providing best banking services. A man of pleasant personality with amiable determination Ln. 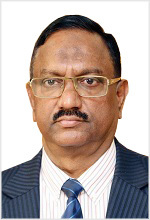 Mohammed Abdul Aziz is the Sponsor Director and Vice Chairman of Standard Bank Limited. He is a man with a strong vision & commitment and a selfless social Leader. Ln. Aziz completed his SSC examination from renowned GalimpurRahmania High School in the year 1968. After that, he completed his HSC from Govt. Dhaka College in the year 1970. He was also a valiant freedom fighter who participated in the Liberation War of 1971. Without any break of study hesuccessfully obtained graduation in Commerce in the year 1972 from Dhaka College. After completing his academic education instead of joining any service he started his own business. By dint of his untiring efforts & hard work, sincerity he established himself as a successful entrepreneur of Dhaka city. He is one of the pioneer importer of industrial raw materials and Commercial Importers of various items till date. Apart from that in the year 1994 he joined Midland Credit Cooperative Society as Managing Director & Chairman. By his effort & leadership skills, he made it into a top leading cooperative society in Bangladesh. Furthermore he focused into different business ventures including hotel industry, garments sector and so forth. He was the former Vice Chairman of Moonlux Knit composite garments Ltd. He is also a founder member and Board of Trustee of renowned educational Institution Fareast International University. Ln Aziz joined Lionism in the year 1985 as a member of lions club of Dhaka Progressive. Since then his service towards the distressed humanity made him reach the different positions of Lions Clubs International District 315 B2, Bangladesh. He was elected unopposed District Governor for the year 2005-06. He made his call “Light the Blind” as a District Governor. He is also the founder Vice Chairman of three Eye Hospital in the name of Lions Club of Dhaka progressive Eye Hospital. Besides, being an active humanitarian & social worker, Ln Aziz devoted himself into many other social & welfare works. He widely traveled Maximum Countries of the world. As a Lion & a Business Leader, Lion Aziz received numbers of awards & recognition in his field. 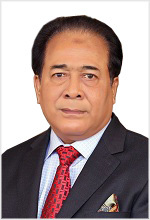 Mr. Al-Haj Mohammed Shamsul Alam was born in 1953 at Noapara, Raozan, Chittagong and he is in business since 1972. His father and grandfather Late Hajji Abul Bashar Sowdagar and Late Abdur Rouf Sufi respectively were also the renowned businessmen at their own territory. Mr. Mohammed Shamsul Alam in his first business life belonged to his family business “Trading of Cloths” at Kurbanigong, Chittagong. Few years later (From 1976) he started his own business of House Hold Electrical Appliances like Refrigerators, Freezers, Television and others. He is now the Managing Partner of M/s. Radiovision and Radiovision is one of the leading importers, retailers and whole seller of the House Hold Electrical Appliances like Refrigerators, Freezers, Washing Machine, Air Conditioners, Colour Television, DVD, VCD etc. He is also one of the Director of Standard Bank Limited. Except this he is also the Managing Director of PAM Complex (PVT) Limited which is the manufacturer of Garments poly bag and others accessories, Director of CIDER Education Services Limited, Chittagong, Partner of AB Electronics, “G”. Telecom, “G” Distribution, ”GNET” Digital Communications Center, Chittagong etc. A) Founder President of “Amena Bashar Boyoshaka Punarbashan Kendra” Noapara Raozan, Chittagong. “Amena Bashar Boyoshaka Punarbashan Kendra” is a self finance project exclusively. B) Donor Member of Noapara Muslim High School, Noapara, Raozan, Chittagong. C) Member of the Lions Club of Chittagong. D) Associate Member of the Chittagong Chamber of Commerce & Industry. 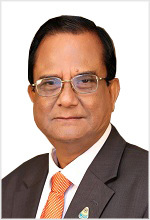 Mr. GULZAR AHMED is a renowned business personality in Bangladesh. He is the Proprietor of APAN Jewellers, Gulshan Avenue, Dhaka. Apan Jewellers has been in business since 1982 and it has 7 branches in Dhaka city. 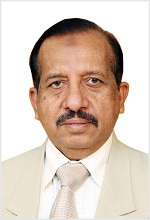 Mr. Gulzar Ahmed has got practical experience of over 35 years in different business sectors. He is the Director and Ex Vice chairman of Standard Bank. He is now the Chairman of Executive Committee of our bank. Mr. Md. Zahedul Hoque, a highly professional, prominent and well established Businessman was born in a renowned family. He completed his Bachelors of business administration majoring Industrial Management in December, 1992 from Northeast Lousiana University, Monroe, Lousiana, USA. His father Al-Haj Md. Nurul Hoque Sowdagar, a prominent and well established businessman in home & abroad, was one of the Sponsor Directors of Standard Bank Limited and is the founder of Hazi Mohammed Nurul Hoque Degree College, Shakpura, Boalkhali, Chittagong and Amenia Forkania and Nuria Madrash, west Shakpura, Boalkhali, Chittagong. 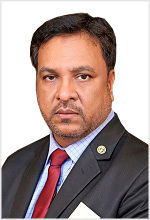 Mr. Zahedul Hoque is the proprietor of M/S Zahed Brothers (import of food grains, spices, betel nut, sugar & vegetable oil) and M/S NLZ Fashion (computerize embroidery unit). 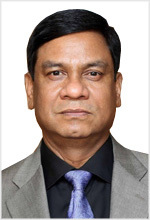 He is also the Managing Director of M/S NLZ Fashion Limited (100% export oriented readymade garments in Chittagong Export Processing Zone) and Director of M/S Noor Oil & Food Products Ltd.,The Director of Hossain Oil Mills & Dada Salt factory and the Director of M/S Arafat Limited (Iodized Salt Industries). »He is the Director of Standard Bank Limited & Holding the position of Chairman of Executive Committee of the Standard Bank Limited. »He is the Director of The Chittagong Chamber of Commerce and Industries (CCCI). » He is a Patronize member of the Governing body of Hazi Mohammed Nurul Hoque Degree College, Shakpura, Boalkhali, Chittagong. » He is the Life Member of Army Golf club, Dhaka. » He is the Permanent Member of Chittagong boat club. » He is the Permanent member of Chittagong club ltd.
» He is the Life member of Maa o shishu hospital, Agrabad, Chittagong. » He is a member of (Bangladesh Garments Manufacturing & Export Association) BGMEA. Al-Haj Md. 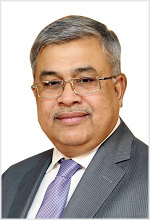 Yousuf Chowdhury, a renowned and well established business man and he is Chairman of Chittagong Board & Paper Mills Limited & Hotel Royal Palace Limited and Director of Central Insurance Co. Ltd. He is also owner of Lucky Traders and Royal Tower. He is associated with many renowned social organizations and is a dedicated social worker. 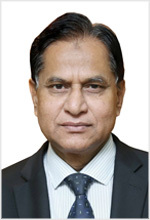 Mr. Sahazada Syed Nizamuddin Ahmed a prominent, distinguished and one of the senior most banking personality of the country has been unanimously appointed as Independent Director of Standard Bank Ltd. by the Board in its 127th meeting. A post Graduate in Commerce, Mr. Nizamuddin Ahmed is one of the dynamic, highly professional, market oriented - development banker of the country, having a successful banking career of more than 4(four) decades to his credit, in both public and private sector banking with the credentials of holding the offices of General Manager of Janata Bank, Sonali Bank and Bangladesh Krishi Bank, Deputy Managing Director of Janata Bank and CEO & Managing Director of Rupali Bank, Ansar-VDP-Unnayan Bank and Standard Bank Ltd. 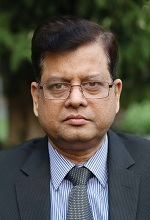 He also served as Advisor of The Premier Bank Ltd. and Advisor and Chief Banking Consultant of Standard Bank Ltd. During his tenure as General Manager of Sonali Bank and Managing Director of Rupali Bank, he took all the initiative and proactive role in pushing ahead the “Financial Sector Reforms Program (FSRP)” in both the banks which was introduced by Bangladesh Bank at that period of time under “World Bank’s banking reforms program”. 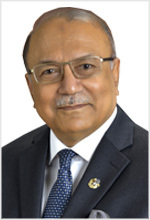 During his tenure as Managing Director of Rupali Bank he was instrumental in establishing a “Full Fledged “IBM Mid-Range Computer Bureau” in the Head Office of Rupali Bank in 1994 within shortest possible time as a part of implementation program of FSRP. All through his banking career, Mr. Nizamuddin Ahmed has always maintained a reasonably high standard of professional ethics, transparency, honesty, integrity, dignity and a prestigious image. He participated in several high level executive training program, Important Seminars, Symposium and workshops organized by Internationally famous and reputed organizations on banking and finance such as World Bank, IFC, ILO, BIBM & BMDC etc. He has visited UK, France, Japan, Thailand and other Asian Countries on professional assignments and on personal visits. He was a member of the Executive Committee of “Bangladesh Institute of Bank Management” and “Institute of Bankers, Bangladesh”. 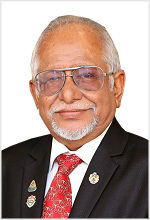 Mr. Nizamuddin Ahmed is a socialite, a distinguished social worker and was District Governor of Lions Clubs International, District 315 A-1, Bangladesh during 2002-2003. Mr. Syed Nizamuddin Ahmed bears the spiritual legacy of the famous Holy Sufi Saint Hazrat Gause-Pak Maizbhandari Kutube-Rabbany, Saha Sufi Al-Syed Moulana Golam-ur Rahman Al-Hasani, Wal Hussaini, Al-Quaderi (Q.S.) Alias - "Hazrat Baba Bhandhari" of whom he is one of the Direct Grandsons. Mr. Nizamuddin Ahmed is now an Independent Director of the Bank who joined this bank as Managing Director in 2000 and greatly contributed towards the overall growth and development of the bank. He rendered efficient and valuable services in running the bank efficiently and successfully during his 2 years length of tenure during the very formation period of the bank. He is a veteran professional career banker having 43 years of active services in banking in both public and private sector. He started his banking career in the erstwhile United Bank Ltd. in 1964 as a Probationary Officer and reached to this position with his talents, commitment, dedication and dynamism. He is a Master of Commerce in Management and attended many important training programs, Seminars, Symposiums and Workshops at home and abroad. He is widely known and respected in the banking arena and the society at large for his outstanding, distinguished and amiable personality, honesty, transparency and as a man of strong moral character and high ethical standard. Ln. Najmul Huq Chaudhury MJF, son of Late Alhaj Aminul Huq Chaudhury comes of a very respectable Muslim Zaminder family of Chittagong, Nazir’s Family, North-Kattali, Born on 19th January 1943. He obtained his graduation in Commerce (B.com) from St. Xaviers College of Calcutta. He undertook a number of training courses on Business Administration and Industrial Management. Attended number of seminars & symposia on Business Administration and Industrial Management in the Country and Abroad. Ln. 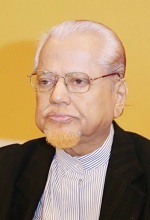 Chaudhury played a vital role during the Liberation Movement of Bangladesh in 1971 and after Liberation of Bangladesh, joined as Managing Director of 2 (two) joint venture Companies viz. Van Ommeren Tank Terminal Bangladesh Ltd. (VOTT-B) & International Oil Mills Ltd. (IOM), North Patenga, Chittagong as a nominee of Foreign Shareholders (USA & Dutch). At present he is serving as Honorary Chairman, Chittagong Lions Foundation & Lions haritable Eye Hospital since 2009, Resident Director & Advisor, SKM Jute Mills Limited, Sitakunda, Chittagong, since 2004, General Secretary, Anjuman Mufidul Islam, Chittagong, since 2013, Governing Body Member of Latifa Siddiqi Degree College, Chittagong, since 2014, Latifa Siddiqi Girls High School, Chittagong, since 2014, Imdad Sitara Khan Lions Kidney Center, CLF Complex, Chittagong, since 2014 & Lions service complex, Chittagong, since 1990, Vice - Chairman & Member of Trustee Board, Lions Anowara Taher Physiotherapy Clinic, CLF Complex, Chittagong, since 2009, EC Member, Chittagong Rifle Club, since 2008, Permanent Member of Chittagong Club Ltd. since 1993 and Donor Member of Kattali Nurul Huq Chy High School Chittagong, since 1985. He also served in the Industrial/Business, Social-Welfare Organizations as Ex-Administrator, Bangladesh Tank Terminal Limited, Patenga, Chittagong, (1975 & 1976), Ex-Vice Chairman, Bangladesh Vegetable Oil Refiners’ Association, Dhaka, (1984 to 2000), Founder EC Member of American Chamber of Commerce in Bangladesh, Dhaka, (1986-1990) & Dutch-Bangla Chamber of Commerce & Industry, Dhaka, (1990-1994), Ex-EC Member of Foreign Investors Chamber of Commerce & Industry, Dhaka, (1978-2000), Chittagong Chamber of Commerce & Industries, Chittagong, (1975-1980), Bangladesh Chamber of Industries, Dhaka, (1980-1986), Bangladesh Employers’ Federation, Dhaka, (1976-1980), Chattagram Maa-Shishu- O-General Hospital, Chittagong, (1989), Chittagong Diabetic Association, Chittagong, (1986-1990), Bangladesh Lions Foundation, Dhaka, (1990-2000) & Muslim Education Society, Chittagong, (1985-2008), Ex-Member, International Chamber of Commerce- Bangladesh, Dhaka, (1998), Ex-General Member, FBCCI, Dhaka and Ex-Vice Chairman, Past Lions District Governors Forum 2010-12 & 2014-15. He is Life Member of different Social-Welfare Organizations in Chittagong Lions Foundation (1985), Bangladesh Lions Foundation, Dhaka, (1986), Chattagram Maa-O- Shishu Hospital, (1989), Bangladesh Diabetic Association, Chittagong, (1985), Chittagong Rifle Club, (2009), Muslim Education Society, Chittagong, (1990), Red Crescent Society, Chittagong, (1990), Bangladesh Family Planning Association, Chittagong, (2002), Cancer Foundation, Chittagong, (2013), Lions Blood Bank, Chittagong, (1992), Chittagong Association, Dhaka, (1999), Central Eid Jamat Committee, Chittagong, (1980), Donor member, Kattali Nurul Huq Chaudhury High School, Chittagong, (1985) and Family Planning Association of Bangladesh, (2002). While he was in Kolkata (Calcutta) & college student, he served in the organizations as Secretary, Oriental Girls High School, Calcutta, Assistant General Secretary (Administration), Calcutta Muslim Institute, Cultural Secretary, Poet Kazi Nazrul Islam Institute and Cultural Society, Calcutta, Social & Cultural Secretary, Dilkusha Institute (now Humayun Kabir Institute), Calcutta, EC Member, Calcutta Mohammadan Sporting Club and Anjuman Mufidul Islam, Calcutta. Mr. Mamun-Ur-Rashid, an inspired banker with more than three decades of satisfying experience in banking has joined Standard Bank Limited on 15th April, 2013 as Deputy Managing Director. 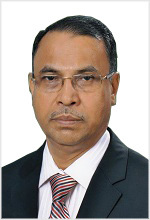 Mr. Mamun started his career with National Bank as a probationary officer in the year 1984. In the process of career progression, he capitalizes the opportunities to be associated with few other banks like NCCBL, Prime Bank, UCBL and Premier Bank. Prior to joining SBL, he was the Deputy Managing Director of Premier Bank Limited and United Commercial Bank Limited. Throughout his banking career Mr. Mamun has held different senior management positions in the field of Credit Risk Management, Corporate Banking, Information Technology, Internal Control & Compliance, International Trade & Finance, Recovery & Law, General Services and including creditable exposure in branch banking as Head of Branch. His imaginative sense and inspired leadership combined with understanding knowledge and practical experience led to continuous and sustainable growth in every organization he worked for. Mr. Mamun attended numerous seminars, workshops and training programs at home and abroad. He extensively visited many countries including United Kingdom (UK), Italy, Singapore, Malaysia, Thailand, China, UAE, Saudi Arabia, Egypt, and Qatar. Mr. Mamun was a Lecturer of Political Science in Sitakund Degree College, Chittagong prior to joining the Banking Industry. He is happily married with Mrs. Jesmin Chowdhury and they are caring and loving parents of a son and a daughter.